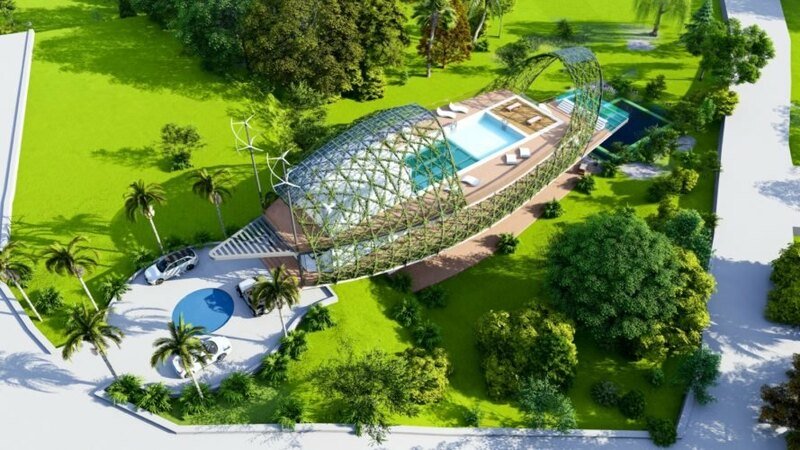 This self-sufficient home topped with a soaring cocoon-like structure envisions new heights of off-grid living. 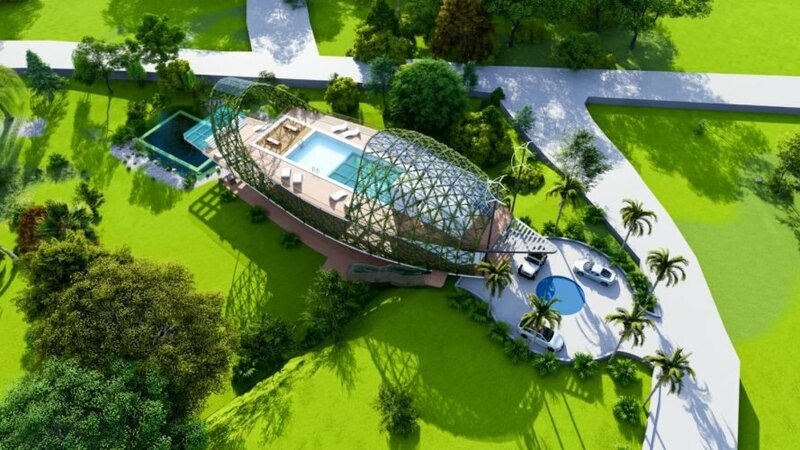 The Cocoon Smart Home, designed by Richard’s Architecture + Design (RA+D), will be the first Minergie-ECO certified building in the Dominican Republic. 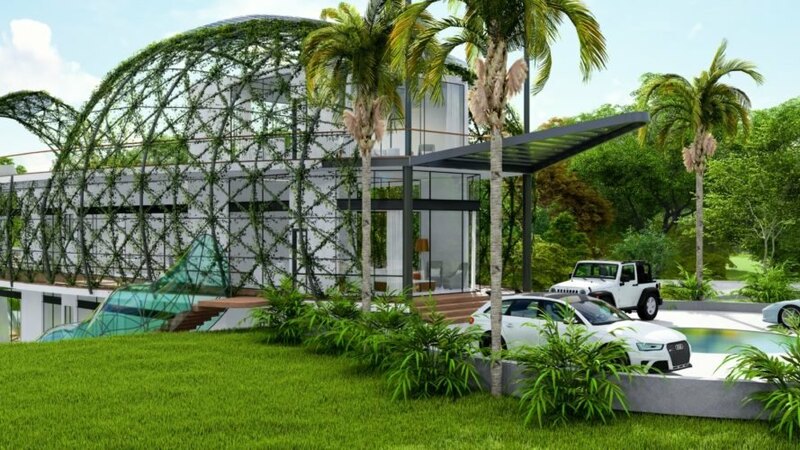 With solar panels, a geothermal system and rainwater harvesting, this Santo Domingo home fully embraces sustainable design. 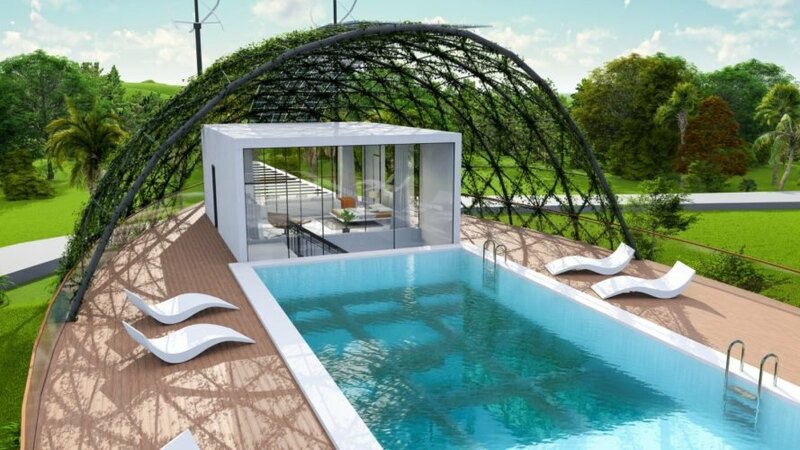 RA+D wanted to design the ideal automated house that contributes to the health of its inhabitants and the surrounding environment. 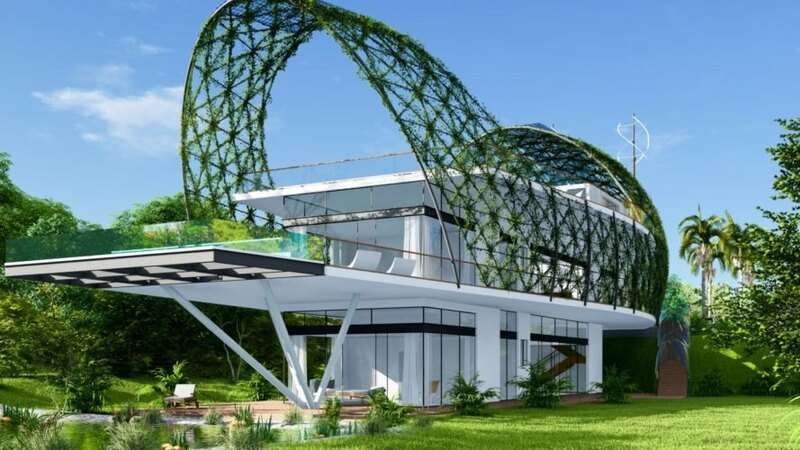 Multiple sources of clean energy will power the Cocoon Smart Home, including solar, residential wind turbines and a geothermal system. 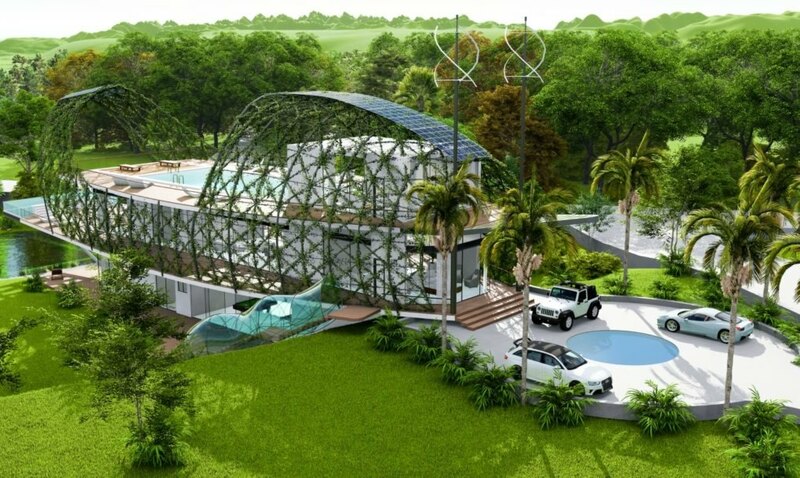 The five-bedroom home will also be equipped with a Viessmann fuel cell heater that uses hydrogen — RA+D says this will be the first one in the Caribbean. Battery storage keeps LED lighting and a water heating system running, and excess power can be rerouted to the public grid or utilized to charge electric cars. 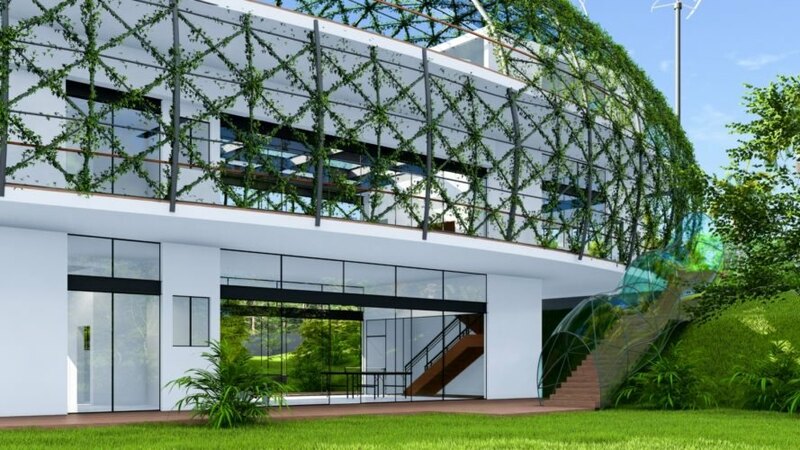 An organic vertical garden, framed with glass and steel cables, comprises the cocoon of the building and allows plenty of natural light into the home. RA+D included cross ventilation, tilted louvers and strategic landscaping to mitigate heat. 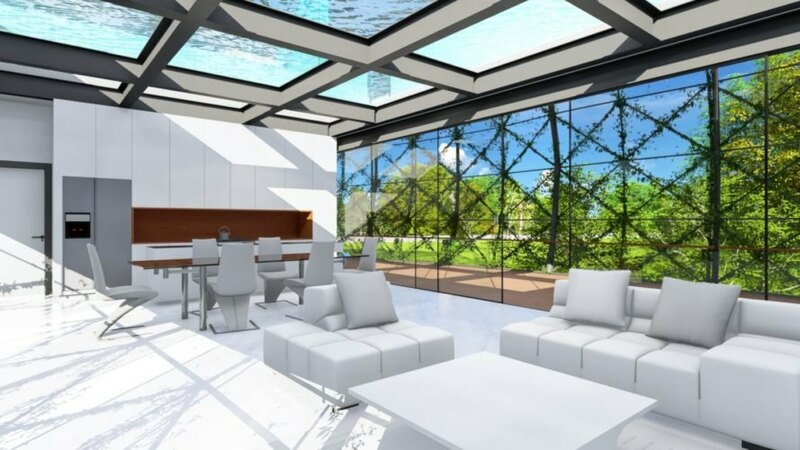 Cocoon Smart Home employs rainwater harvesting and boasts an on-site water treatment plant. With rainwater collectors and water purification systems, residents will be able to obtain clean drinking water. 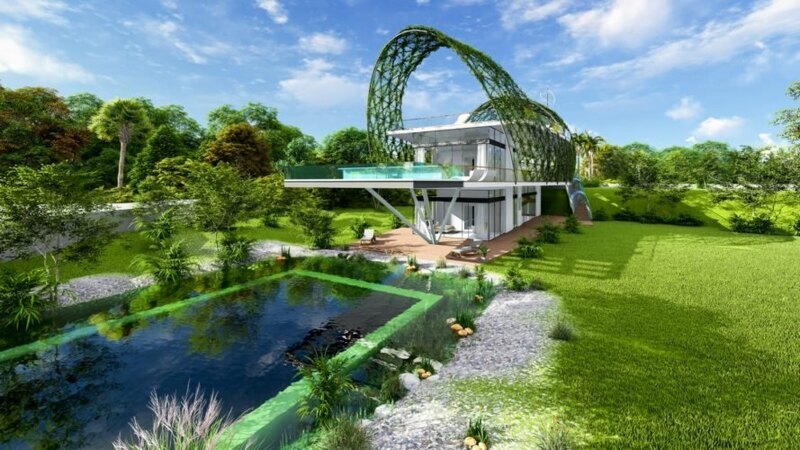 There’s even enough water and power for food production — RA+D said there is potential for gardens or greenhouses to thrive here. 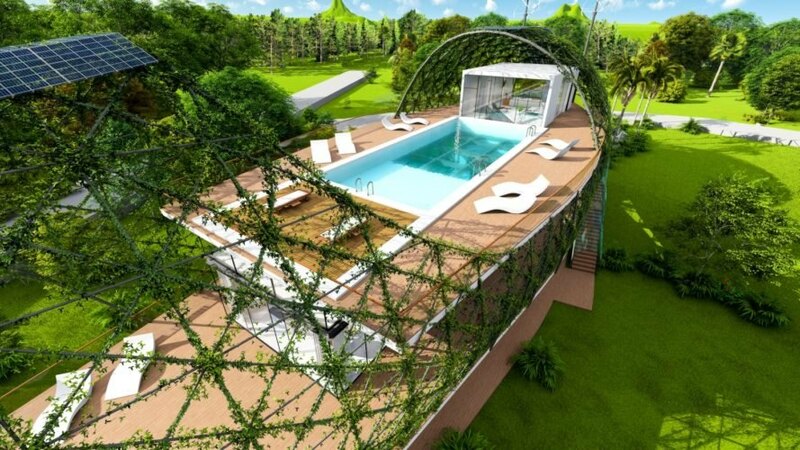 The goal of the home’s interior is to connect its inhabitants to nature. An open floor plan, natural limestone floors and fir and ash wood walls, floors, ceilings and furniture blend together in what the firm calls a Caribbean-chic aesthetic. “Each of these systems working harmoniously in this house represents a historic achievement for this landmark project,” said Kyle Hubert, part of the RA+D design team. 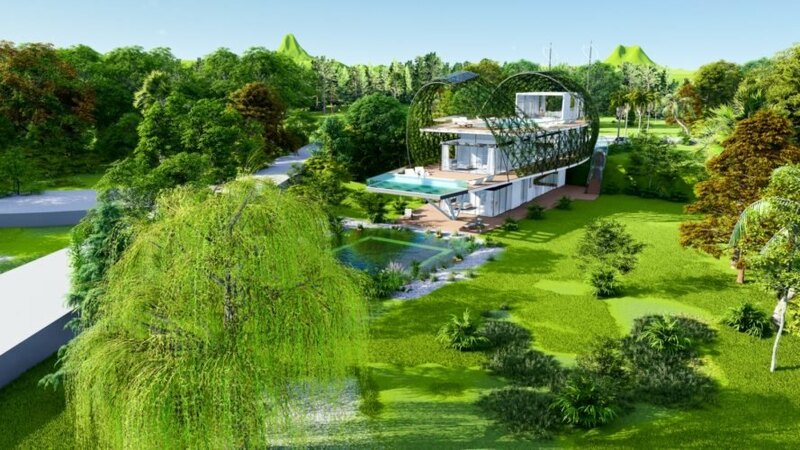 “We feel confident that these synergized renewable energy technologies, along with energetically self-sustainable organic food production and water sourcing, will begin a new paradigm for private residency development, moving from smart homes to smart neighborhoods and cities.” Hubert said Cocoon Smart Home is currently under construction.